Special to The Sun: SERVE member Taylor Davis, Freeholder Jim Jefferson and Vice President of SERVE Gina Ridge. Providing a chance for individuals and families to join together as a community to support those who have experienced trauma in their lives as a result of violence, homelessness, poverty, addiction or other complex life circumstances, the Empower 5k Run and 1 Mile Walk took place on Saturday, Sept. 29 at Washington Lake Park. 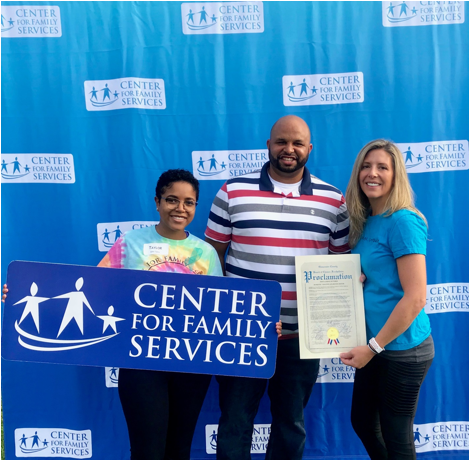 The walk was sponsored by Center for Family Services/Services Empowering Rights of Victims (SERV) Freeholder Jim Jefferson, liaison to the Department of Health and Human Services, started the race and made a presentation at the event. 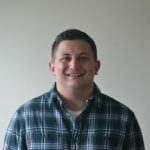 At this year’s event, participants were invited to walk or run in honor or memory of someone whose life has been affected by violence and trauma or someone who has paved the way for services that support survivors.